RESEARCH TRIANGLE PARK, N.C.—Since opening in January 2015, The Frontier in Research Triangle Park has had over 300,000 visitors. Launched as an experiment in coworking and small startup office space, the original Frontier building at 800 Park Offices Drive has grown to include more than 80 companies and is now fully leased. Due to demand, additional buildings nearby at 600 and 400 Park Offices Drive are being activated and will open this spring as office and wet lab space; additional outdoor amenities will be added as well, turning The Frontier into a full campus. United Way of the Greater Triangle has leased a 5,214 square foot office in the original Frontier building. The non-profit moved in early March. “United Way of the Greater Triangle is a collaborator, connector, and convener. Being in The Frontier will help us maximize our impact in those roles while also making us more accessible to our partners and the communities we serve,” says Eric Guckian, President and CEO of United Way. The 400 Park Offices Drive building on The Frontier Campus has been upfit for office and light wet lab use, and will open at the beginning of May. It is 60% pre-leased; committed tenants include ZY Therapeutics, Alpha Nano Tech LLC, HealthSpan Dx, Novus Energy Technologies, Alera Labs, Creative PEGWorks, Redbud Labs, Eton Bioscience, MAA Laboratories, Quanticision Diagnostics, and Southcot. Opening in June, the 600 Park Offices Drive building connects to the original 800 at The Frontier building via a pedestrian bridge. Designed for emerging companies, it features a new state-of-the-art training room, lobby and restrooms on the first floor, as well as shared conference areas and collaborative meeting spaces for tenants. A community cafe with vending options will also be available. The 600 building offers a wide range of offices types and sizes. True to The Frontier’s community-minded mission, new outdoor amenities will tie the campus together. Tenants and guests can look forward to meals and meetings outdoors with new and improved seating options, including artistic park benches, hammocks to lounge in, and a small amphitheater. Games like corn hole, ping pong, and foosball will provide an ideal way to take a break. And, a dog park will open to serve four-legged visitors on campus (the first floor of the 800 building will remain dog-friendly). These amenities are scheduled to launch by June 1. An afternoon celebration, Picnic in the Park, will take place June 8 to welcome new tenants, and introduce the new amenities to the RTP community. There will be a Food Truck Rodeo, live music, giveaways, and free refreshments and Locopops. To make ways for additional site improvements, the 500 Park Offices Drive building is being demolished in April and May. Visitors are encouraged to use additional caution when accessing The Frontier campus from the eastern access to Park Offices Drive. Commericial broker Cushman & Wakefield is managing the leasing at The Frontier campus. For more information, available space, floor plans, and contact information, refer to our brochures. 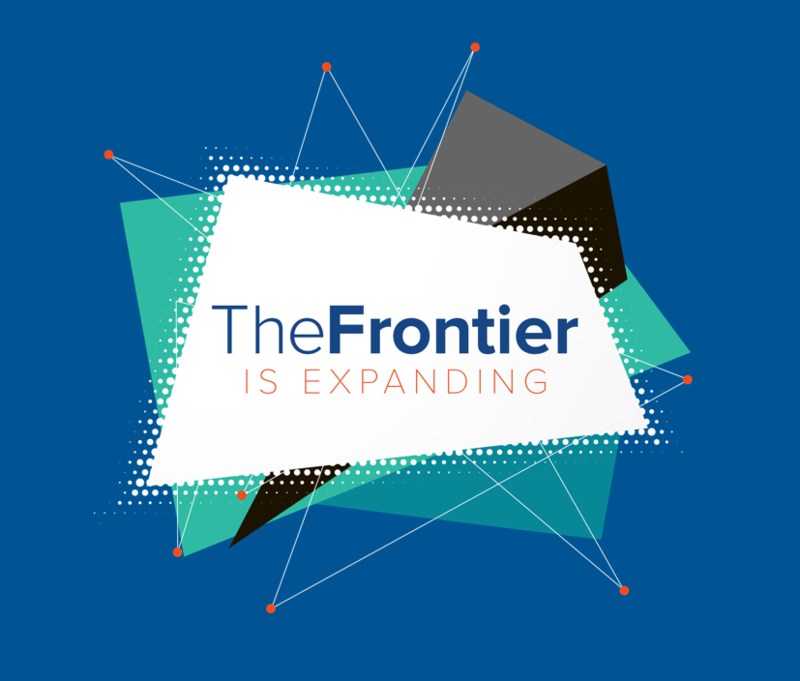 Located in heart of RTP, The Frontier is an open collaboration destination that can be used by anyone in the community to work, host events or charge up. Made possible by The Research Triangle Park, many of The Frontier’s amenities are free for community use. There’s never any shortage of activity, and all citizens of the Triangle are welcome to use the space as if it were their very own. Find out more at rtp.org/about-us/thefrontier.